I'm a self-confessed coffee lover. I love drinking coffee first thing in the morning and before bedtime. This habit of mine gives me the boost that I need every day. I feel energized after drinking a cup of my favorite coffee but I hate the stomach pain and palpitations that come after drinking it. 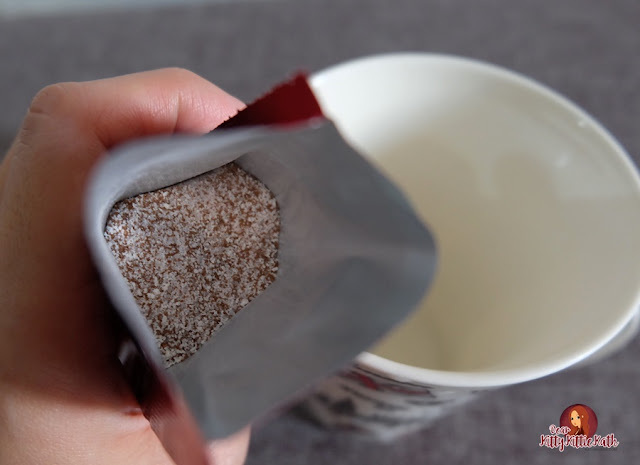 I'm also not sure how much sugar content there is with my favorite instant coffee that's why as much as possible I look for alternatives- those made from organic ingredients and natural sweetener. If the coffee has health benefits then it's promising for health conscious individual like me. In my last post, I've shared the products that were sent by Mr. Felix Dumaboc (trusted distributor of Edmark Philippines) for me to try. 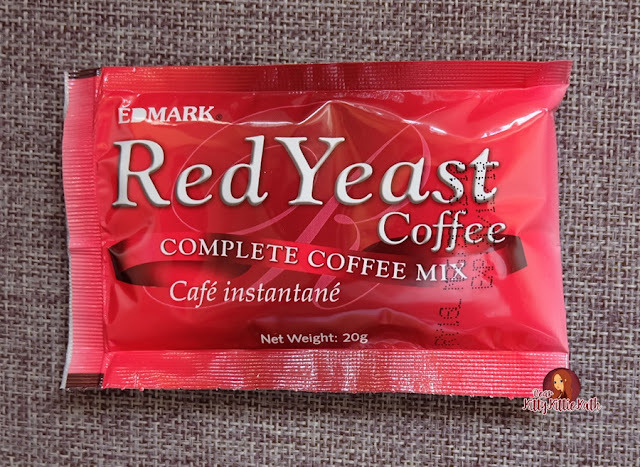 The first thing that caught my attention was the Red Yeast Coffee. 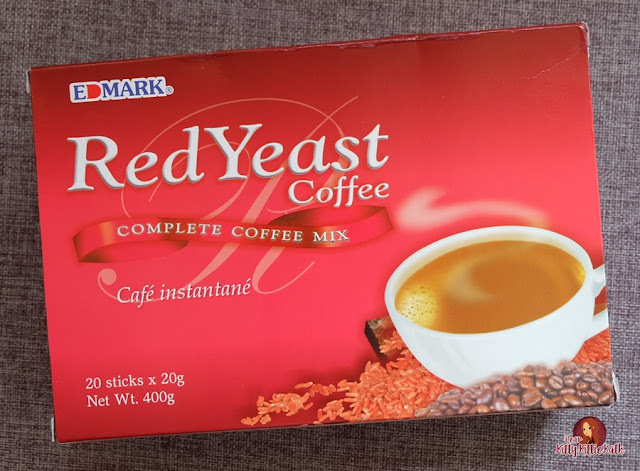 It's an instant fave :) My thoughts on Edmark Philippines Red Yeast Coffee below. Savor and enjoy the rich taste of Red Yeast Coffee, made from imported premium coffee beans and red yeast rice. An excellent blend of coffee goodness that rejuvenates and revitalizes. Deep, full-bodied with a complex flavor that is bold and unanticipated. This coffee’s intensity has a crisp finish that lingers in your taste buds. 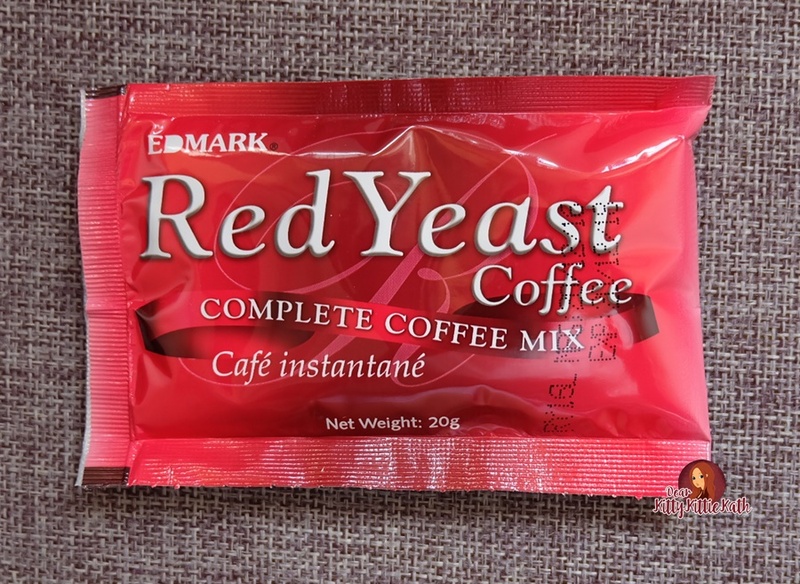 You can’t help but just get another cup of Red Yeast Coffee. Reduces bad cholesterol levels and triglycerides. Invigorates the function of the spleen. Offers antioxidants and anti-aging properties. So this coffee is one of my favorites! Doesn't taste herbalish or whatsoever and the subtle sweetness makes me crave for more. Of course, a cup or two is what I need to keep me going the whole day. For the benefits, I'm still not sure if it made a difference in my cholesterol level or other laboratory tests. The packaging is sealed upon purchase. The sachet is nice and easy to open. 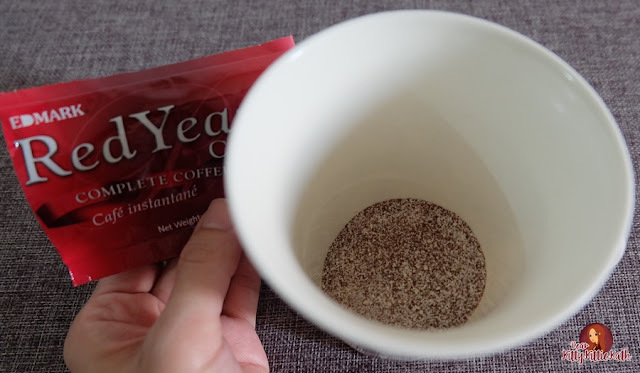 Red Yeast Coffee is easy to prepare. Since this is made from premium organic coffee beans, I worry less about the bad effects of brewed and instant coffee. It has the right sweetness. No palpitations after taking a cup or two. I can still sleep at night even if I drink a cup before bedtime. Batch, manufacturing, and expiration are printed on the box packaging and sachet. The price can be high for those who have a tight budget and drinks coffee more than once a day. I give this a 4.25/5 rating. I'm not a medical expert, and my opinions here are based on my experience during the time I'm taking the products. Like with any food supplements, it is important to consult or check with your doctor first if the product will not have a contraindication with your maintenance medicine (if you have) and current lifestyle. 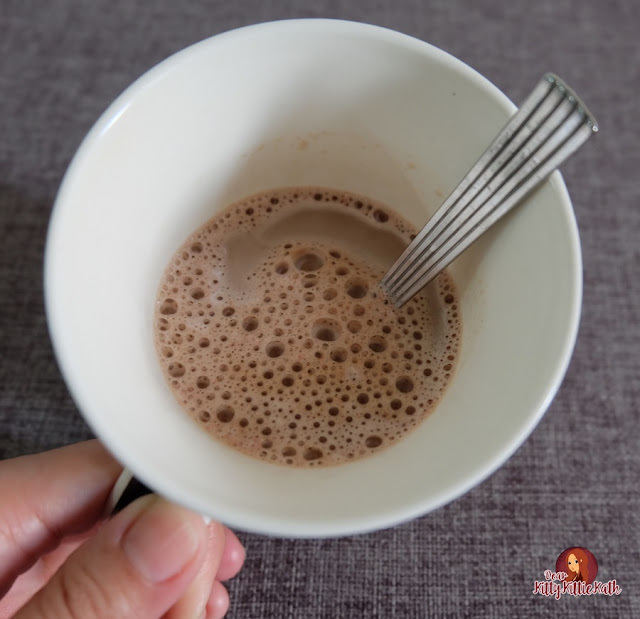 Taking this kind of coffee is a good way to start a healthy lifestyle, with proper diet and exercise. I will choose to drink more of this as I'm watching my sugar levels as of the moment. It's better to start early and prevent any illness as much as possible. I always remind myself about my father's health as an example. If you want to live healthy, be cautious of what you put inside your body- be it coffee or candy. Have you Red Yeast Coffee from Edmark Philippines?